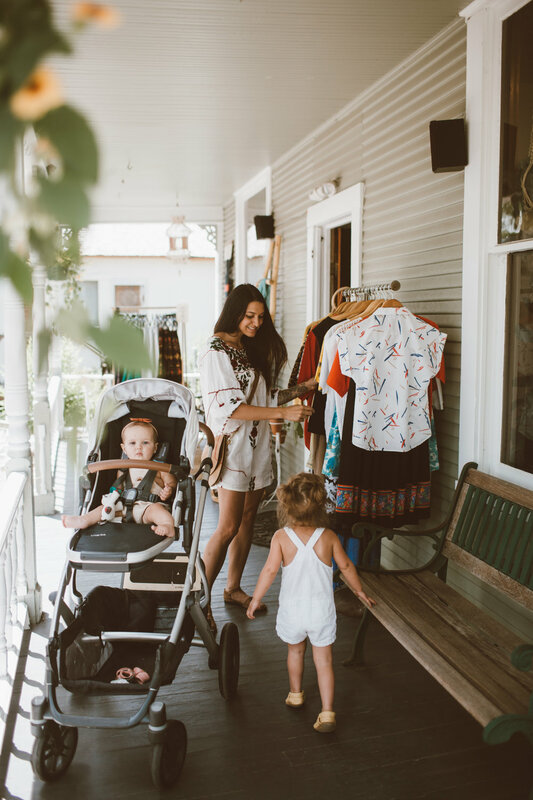 A few weekends ago we made our way up to Lafayette Colorado to check out TRI Vintage. We've only ever driven straight to Boulder so it was so nice to explore a new town. Lafayette totally surprised us with how charming it is! All the cute houses, a hip downtown with lots of adorable shops and then all the mountain views. 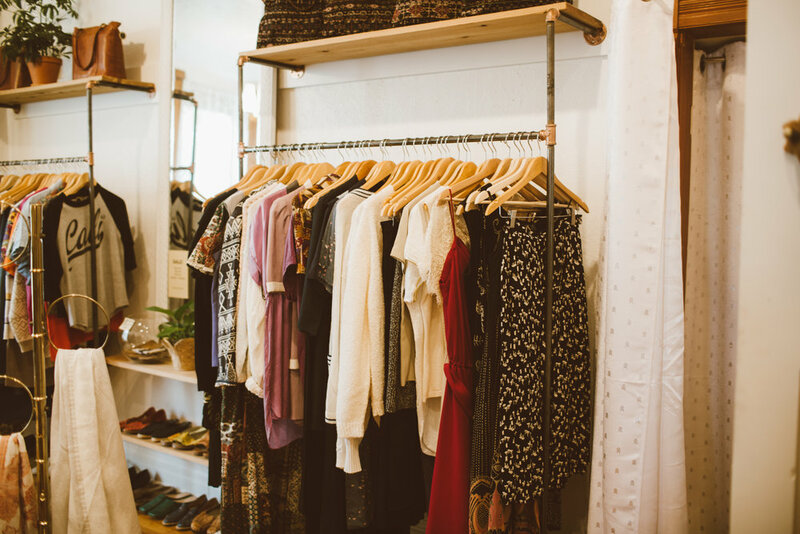 TRI Vintage is filled with products that are fair trade, vintage, and made by local artists. It is so unique and like a different world to walk into. You can read more about their mission here. One of my favorite things about the store is that almost everything you see is for sale. 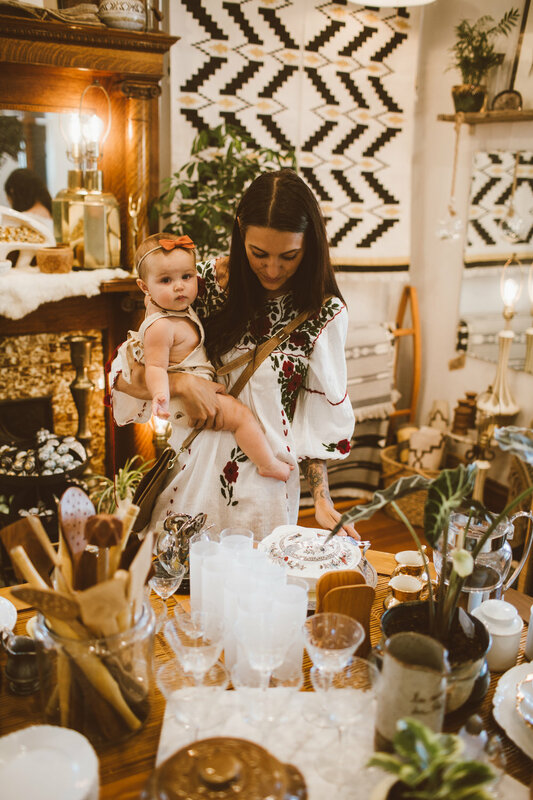 From lamps, dressers and vintage chairs, to clothing, jewelry, bowls, plants, and textiles. They have a little bit for everyone including the men and babies in your life. The men's room was really cool, filled with vintage pipes, leather goods, and tobacco smelling candles. The kid's area was filled with vintage, teething toys and fairtrade dolls (that little doll in Olive's hand above). They also have an online Website where you can shop. Below are a few things I brought home with me. I had a blast shopping around I brought some awesome treasures home with me. A few vintage dresses for the girls, one I'm planning on Pearl wearing for her first birthday. Olive got her sweet doll that she just couldn't part with. 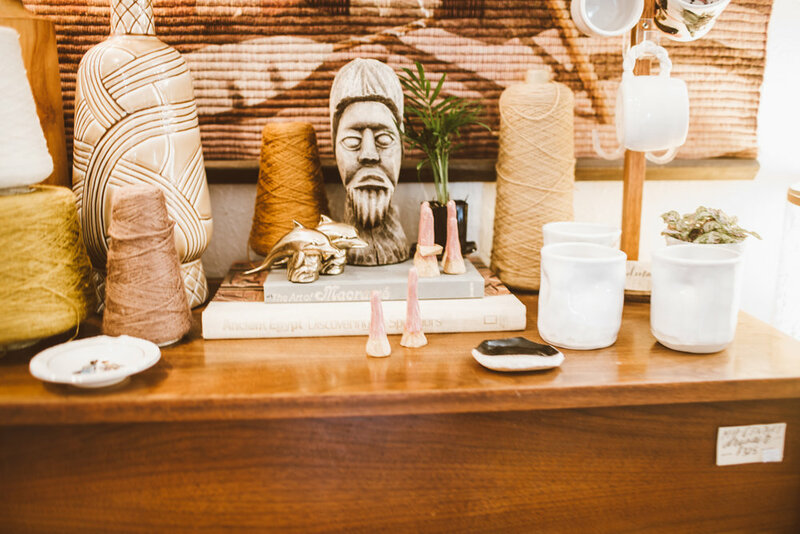 My favorite purchase was the ring holder on the left corner that are made by a local artist. I bought 2 pink ones and they are on my nightstand, No more just tossing my rings around. I also bought a set of those serving spoons that are from India along with that throw on the right (both are fairtrade). 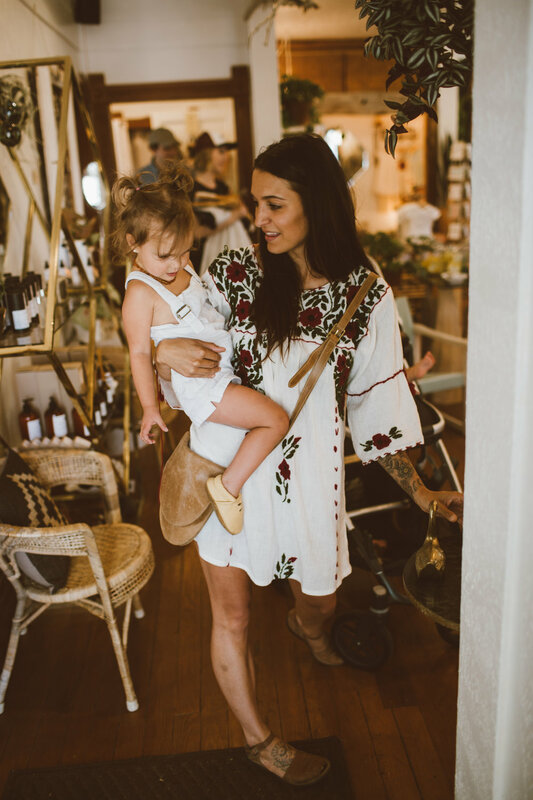 They have so many amazing brass vintage pieces in the store and some really cute ones online! I came home with 2 brass swans and a brass vintage plant house + plant. Make sure to give their online store a peak and follow them on Instagram where you can purchase some awesome vintage finds by messaging them. Oh and use code "steph" for 20% off the online site!